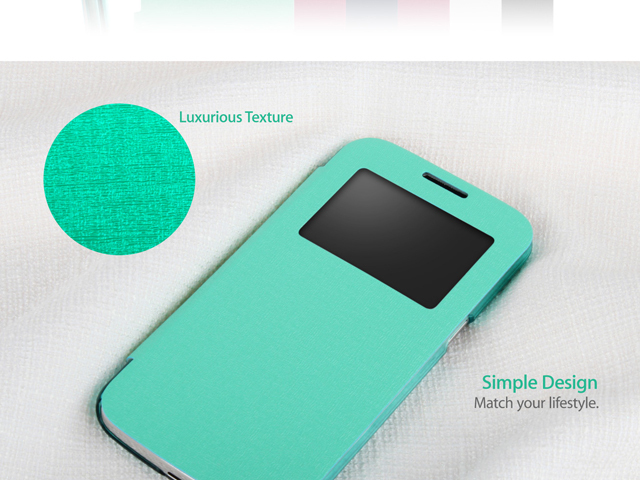 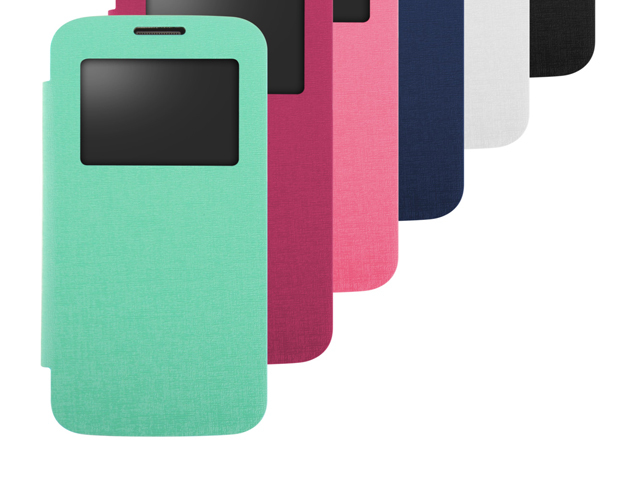 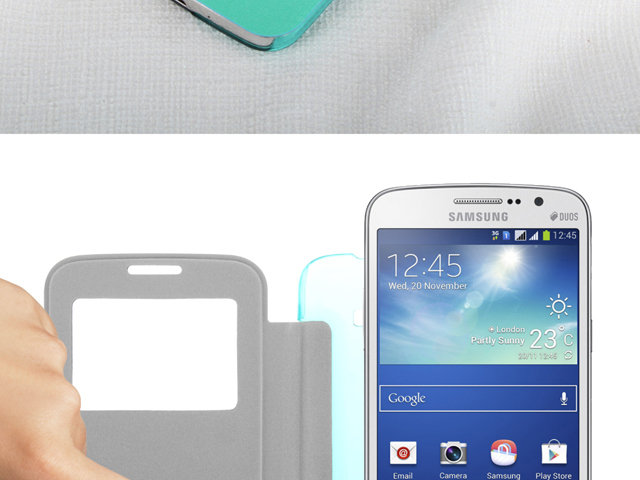 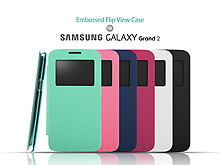 Embossed Flip View Case for Samsung Galaxy Grand 2 is made of synthetic material. 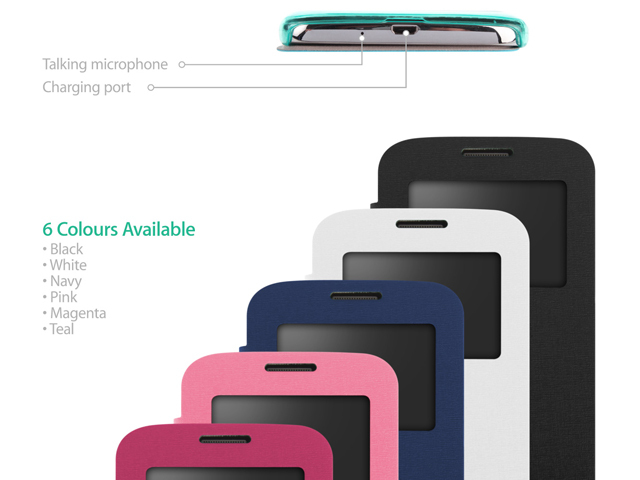 View window allows you to see the caller ID, time and date through the window. 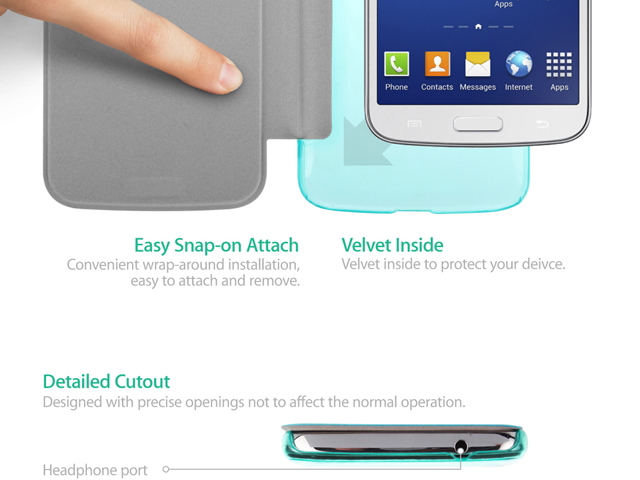 You can also answer call without opening the cover. 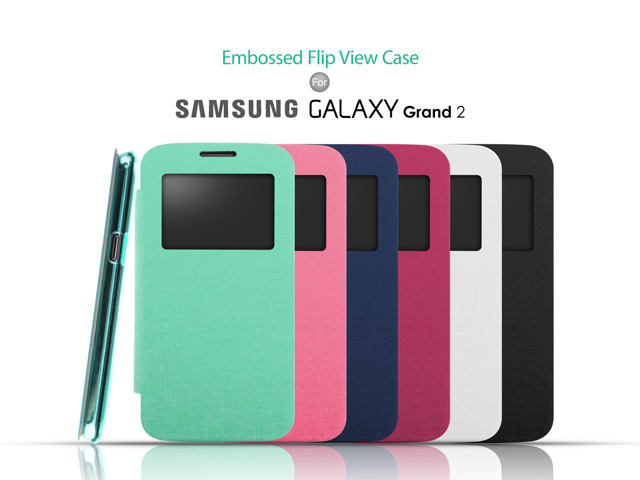 The exquisite design offers a professional and chic look to your Samsung Galaxy Grand 2. 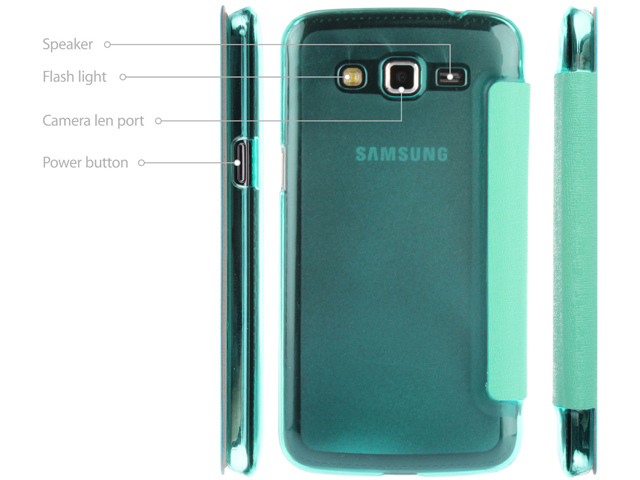 It also provides full protection from scratches, impact and dust.